IDW Games & Pandasaurus Games Bring An International Tabletop Sensation To The U.S. This will be the first North American printing of the fast-paced, dice-rolling city builder, Machi Koro. In the game, players compete to be the first person to build up their simple village into a sprawling metropolis. Originally designed and released in Japan, Machi Korohas developed a dedicated fan-base around the world. Excited fans have been eagerly anticipating an English translation, and the game has already garnered a “seal of excellence” from The Dice Tower among many other accolades. Machi Koro will be on display at the GAMA trade show March 17-21, 2014. 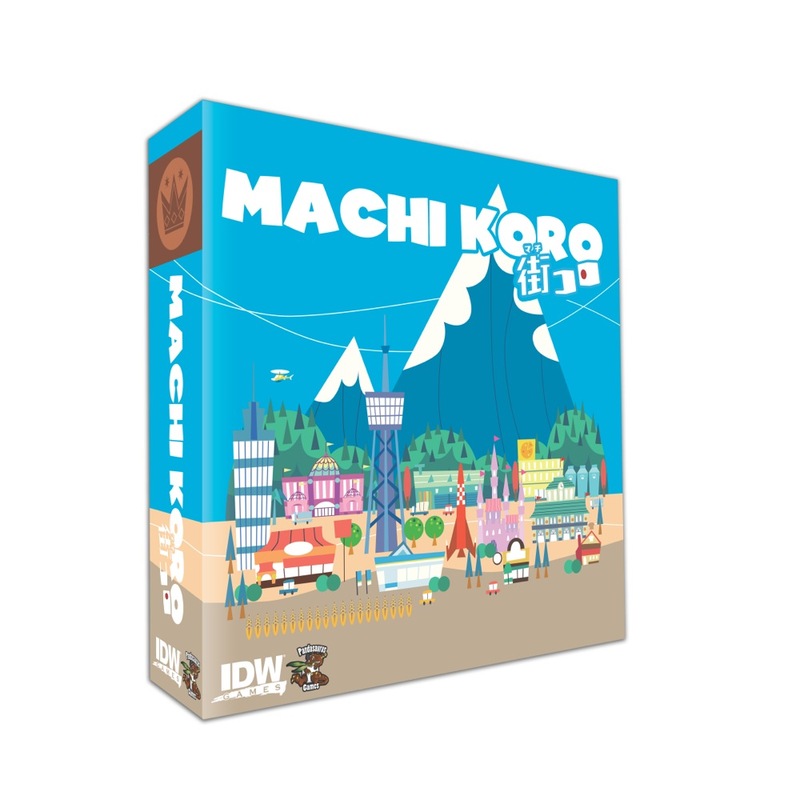 The first 100 attendees to participate in a demo at the IDW Games booth will walk away with a promo copy of Machi Koro. The game will retail for $29.99 and an expansion is already being planned for release for this holiday season.